CYC Waihola is not just an accommodation provider – we have the most epic activities you will find for your next camp! 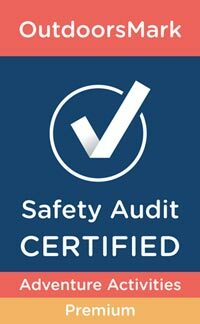 All our activities are certified under the OutdoorsMark audit standard with full safety procedures available on request. See our current price list for more details about the cost of these activities and any requirements for use. 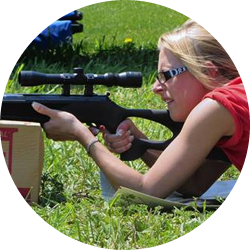 Entry level .188 air powered rifles with either a scope or open sight using lead pellets to shoot targets on a range. 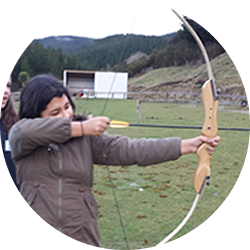 Entry level recurve archery bows and carbon fire arrows to shoot targets on a range – are you the next Katniss Everdeen. CYC Waihola is an official licensee of Archery Tag. The fast paced dodge-ball game using Bows and soft tipped arrows. See ArcheryTag.com for more information. This activity is our most epic yet as voted by our 2018 summer campers. This is one of our top 5 rated-by-the-kids activities! 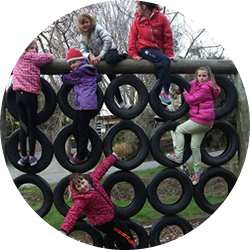 Our on-site assault course has tyre climbs, net crawls, rope swings, balance beams and a high wall to challenge even the most fit person. 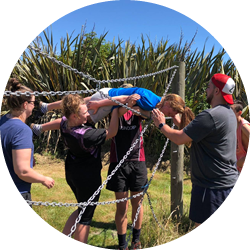 The possibilities are endless for use – for example you could also use it as a team building type challenge by requiring a team to carry an egg unbroken around the course. 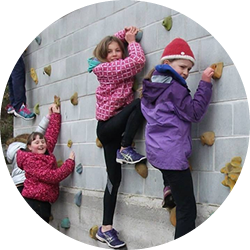 Our bouldering wall is a entry level climbing wall that you can do without a harness. Get from one side of the wall to the other without falling off. Put on a inflatable bubble suit and see if you can bump the other team members out of the way so you can score a goal. 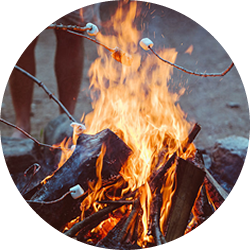 Our camp fire is a good way to end the night on a high with marshmallows and a sing along. * This activity requires permission before use and is dependant on current weather and fire restrictions. A game that is growing in popularity world-wide – Disc Golf is golf with frisbees. We have installed 9 Disc Golf baskets around our camp site. You’ll love the “chink” sound of the baskets as you hit them with the disc. See if you can get a hole in one! 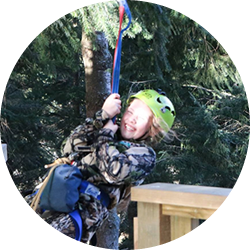 An adrenaline filled ride 80 metres across and 14 metres high over a deep gully. Find 23 private geocaches around the CYC Waihola camp-site using our GPS units. Geocaching is an international sport of treasure hunting using a GPS to find hidden and camouflaged containers – it’s a bit like orienteering but ramped up with technology and rewards. 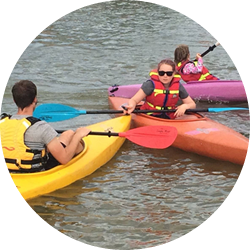 Hire our kayaks to explore the shoreline of Lake Waihola. 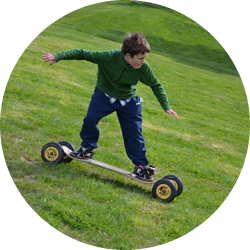 Try your skills at Mountain Boarding – it’s like snowboarding but on our grass slopes so you won’t get cold. Our speed-ball (so called because it’s super fast paced paint-ball) course is pretty epic. Capture the teddy bear before the other team and win the points! How well can you balance yourself on a strap of nylon 50mm wide. 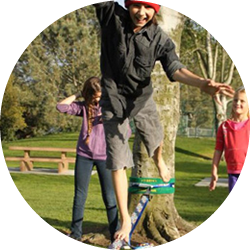 Test yourself on our slacklines. Our on-site team initiative course has all the challenges to test your teams. Spiders web, holey barrel, crocodile mile, blindfold geometry and more.